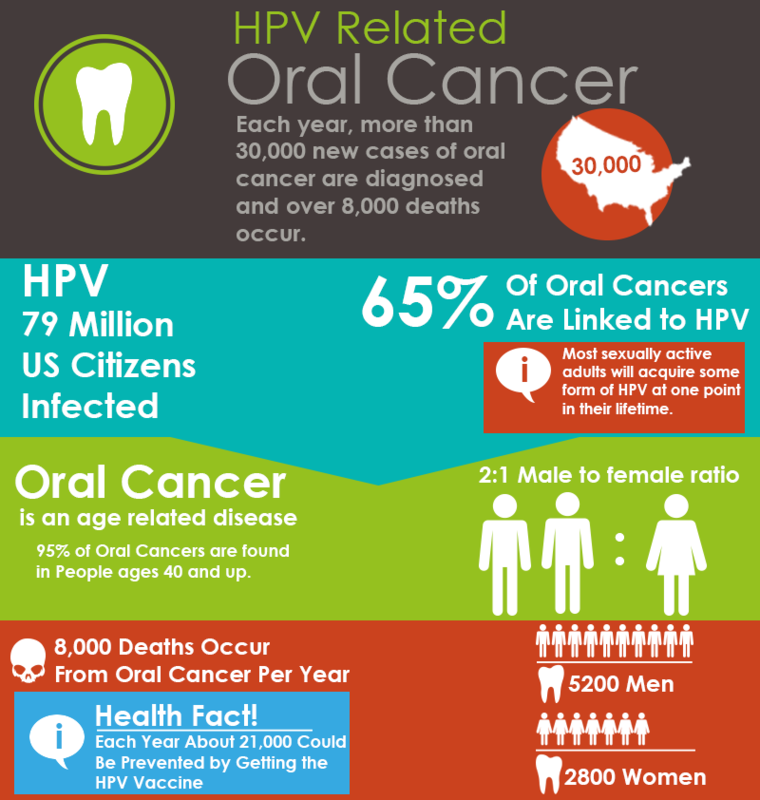 We are very concerned about oral cancer, a quickly growing disease. 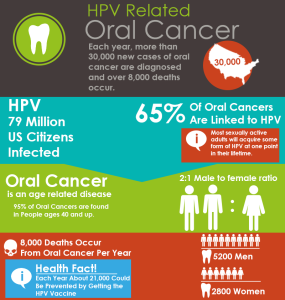 The incidence of oral cancer continues to rise in the United States. The American Cancer Society predicts about 39,500 people will get oral cavity or oropharyngael cancer in 2015, and an estimated 7,500 people will die from these diseases. Men are twice as likely as women to get oral cancer. The most alarming thing about the growing rates of oral cancer is that up to 25 percent of new cases are from people who do not have any of the traditional risk factors, such as age, tobacco or alcohol use. patients age 40 and older with lifestyle risk factors (tobacco and/or alcohol use); previous history of oral cancer. Traditionally, dentists and hygienists have done oral cancer screenings with the naked eye, but recently, the VELscope has recieved FDA approval. The VELscope (Visually Enhanced Lasion scope) will help us pinpoint and identify suspicious tissue at stages before they may become life threatening concerns. VELscope, is a painless, non-invasive blue light that is shined into the patient’s mouth. 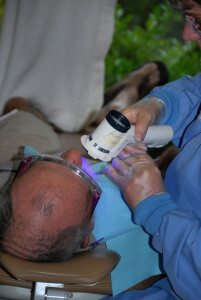 The images are viewed through the back of the VELscope handpiece and the hygienist or dentist may use it to detect early stages of tissue abnormality. Before the exam, the room is darkened and much like “dessert storm night vision technology” the clinician can see changes in tissue that may not be visible to the naked eye. These detected changes can range from something minor to something of greater concern that may require further examination and follow up. Due to the increasing risk, we perform Oral Cancer Exams every appointment.